jessica + andrew are getting married!!! Yahoo, HURRAY! And to celebrate this happy HAPPY thing, we made pictures at their home . 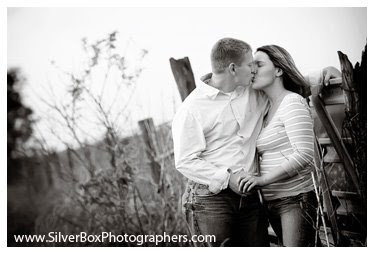 . . jessica + andrew live in the original brick farmhouse located on andrew's family farm. so yes, this is not just ANY gate; this is the gate that sits right across the road from that farmhouse. 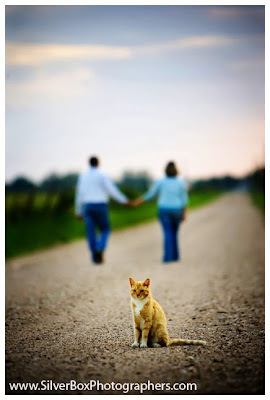 jessica + andrew wanted to spend time and make pictures in a place that was familiar and important to THEM: every flower, mailbox, brick, barn, weed, cat, lane, fence and gate has memory and meaning. ~ the family's farm machinery (and andrew's favorite tractor) . . . by the way, andrew works on the family farm along with his father and brother, Mark (whose marriage to amy i photographed last summer ~ click here to see), and I've gotta believe it takes extra dedication, smarts and hard work to make a successful go of a family farming operation today. ~ and many other special spots . . . to see these and more, peak at their slideshow. 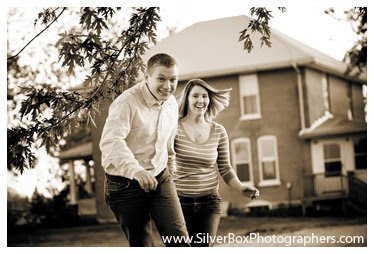 I'll be back up in the Palmyra, Hannibal, Bowling Green area to photograph jessica + andrew's wedding this Fall. in the meantime, happy summer to all . . . and may each and every one of you "silver lining" friends find sweet love standing at YOUR gate.